I have a Master Page with a text placeholder and I want to have a unique text on each page where that specific placeholder is. The issue is that the text is between two layers, so if I take the text out of the Master Page Group, (which has been created in page's layers when I applied the master page), the text won't be between those two layers anymore (it has to be between the layers, as the layers do some blending). So, I would like to be able to edit my text field on every page, but to not affect the Master Page. In Illustrator is possible to "release" a field so it can be edited independently from the Master Page. @dutchshader did you manage to find it? If so, do you mind attaching a screenshot? I can't seem to find those options. I can't seem to find those options. Make sure you are using the current beta. In the Layers studio panel, with a "normal" page selected that has a master page assigned to it, there is a sort of group layer named after the master page which contains the layers that exist on the master page. Right click on that and these options are in that context menu. if yours looks different, kindly please share a screenshot. The current version, in which that feature was added, is .221. I didn't get any notification for update and when trying to download it, the file received is still 206. Could you please provide a download link? @fde101 nvm, I found a link on the forum. Thanks for letting me know about the new version! Can I ask, how did you know to Download the new update? Was there an announcement? Additionally, between all the various updates of Affinity Publisher, will each previous saved document work on the newest publisher version? Yes, they announce them with a post in the beta bug forum for the relevant platform. 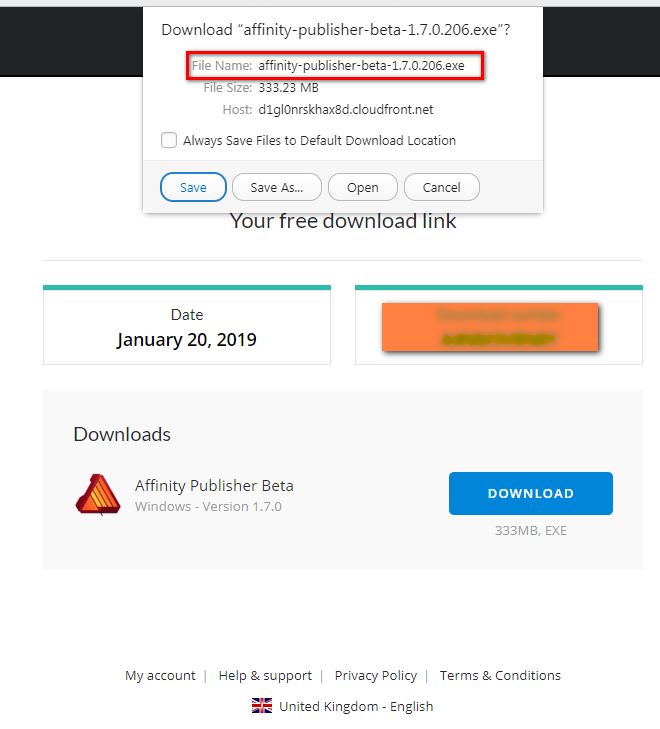 between all the various updates of Affinity Publisher, will each previous saved document work on the newest publisher version? They are trying for this but it is not guaranteed. When you start Publisher it notifies you if there is a new version available. The current version, and any new version, is always available in a pinned post at the top of the Publisher bugs forum (Mac, Windows). The creation of the new topic is one announcement. Sometime later there will also be a News post on Affinity Spotlight. Only if they have it set up for self-update, at least on the Mac. They don't always have them on self-update as soon as they are released, sometimes that lags a bit. That's probably true, even on Windows. But in my experience so far, Serif usually enables the self-update fairly quickly.